AutoPatcher is a downloadable installer with all the Windows updates prepackaged which you can burn to a CD before going onsite. 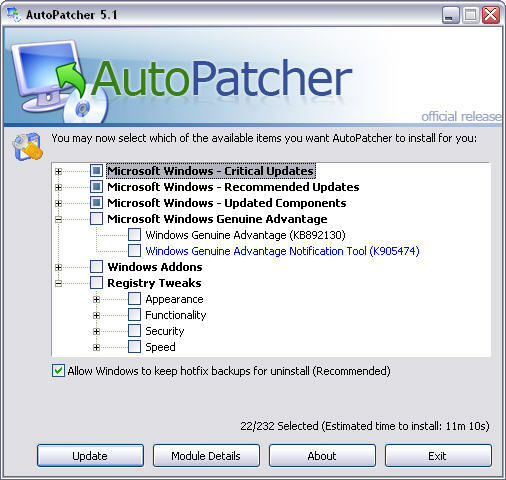 When AutoPatcher is run on the clients computer it automates the Windows Update process by finding which Windows updates needs to be installed and installs them for you, without the need to go online. Best of all, the makers of AutoPatcher release update packages every month so you can easily keep it to date to install the latest Windows patches. AutoPatcher currently has a Windows 2000 version, a Windows XP version and a Windows 2003 version.